employment is not all. What is needed today is that we should live a life of good quality. The fostering of sterling character and good conduct is the need of the world. 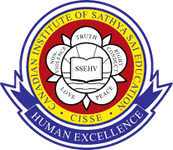 Sathya Sai Education in Human Values (SSEHV), founded by educationist Sathya Sai Baba, is a character development program gaining acceptance worldwide. Sathya Sai Baba viewed education in its broadest sense as a life-long transformational process that fosters not only skills for earning a living but also develops a wholesome character. SSEHV is based on the belief that the universal human values of Truth, Right Conduct, Peace, Love and Non-violence are innate within everyone and can be drawn out, cultivated and manifested in our daily lives through self-effort in a nurturing environment. In a school setting the SSEHV Program is most successful when all the adults in the environment understand this value-based approach. One of the key objectives of the program, therefore, is to enhance the value-awareness of school staff members and parents. To augment the value awareness of parents and strengthen family life, a popular value-based series of workshops have been developed called Dynamic Parenting. This helps to enhance parenting styles, the spousal bond and the family nucleus through love and the practice of other human values in daily life. It works hand-in-hand with value-oriented learning for students.